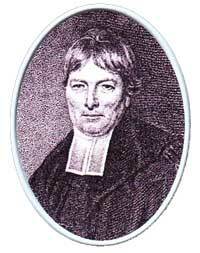 Martin Luther said that the law ought never to be preached apart from the gospel, and that the gospel ought never to be preached apart from the law. We live in a day when few professing Christians understand either the law or the gospel, much less their relationship to each other. In this important work, long out of print, the great Scottish preacher John Colquhoun helps eliminate this unnecessary confusion, showing how the law and the gospel differ as well as how they agree. 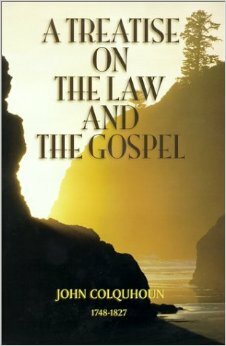 If we do not understand the law and its role, we can never rightly understand the grace of the gospel. Faulty conclusions lead to antinomianism (“the law has no place”) or legalism (“God’s favor comes from doing the right things”). Both are deadly paths off the narrow road. Section 1. The law as inscribed on the heart of man in his creation. Dr. Don Kistler, founder of the Northampton Press, was born in California in 1949, the second of five sons of Jack and Faye Kistler. He grew up on a dairy farm in Central California and graduated from Azusa Pacific College in Southern California in 1971 with a double major in public speaking and religion. He holds the M. Div. and D. Min. degrees, and is an ordained minister. Prior to entering the gospel ministry, Dr. Kistler coached high school and college football for over 15 years. Dr. Kistler pastored a local church for four years. As part of his preaching and teaching ministry, he has spoken at conferences with such notable figures as Dr. John MacArthur, Dr. R. C. Sproul, Dr. D. James Kennedy, Dr. J. I. Packer, Dr. John Gerstner, Elisabeth Elliot, Dr. Sinclair Ferguson, Dr. Michael Horton, Rev. Alistair Begg, Dr. Albert M. Mohler, the late Dr. James Boice, and Rev. Eric Alexander, to name just a few. Dr. Kistler is the author of the book A Spectacle Unto God: The Life and Death of Christopher Love, and Why Read the Puritans Today? and is the editor of all the Soli Deo Gloria Puritan reprints. He was a contributing author for Justification by Faith ALONE! ; Sola Scriptura; Trust and Obey: Obedience and the Christian; Onward, Christian Soldiers: Protestants Affirm the Church; and Feed My Sheep: A Passionate Plea for Preaching. He has edited over 150 books. He currently resides in Orlando, FL.